In 2004, the Department of Justice and the U.S. Environmental Protection Agency reached the largest settlement for storm water violations as a result of contamination found at Wal-Mart construction sites. On February 4th, 2011 Baltimore City officials granted the proposed 25th Street Station bog-box development project a Stormwater Managment Waiver from Maryland’s 2007 State Stormwater Regulations. The 25th Street Station project, originally pitched as a “green development” to area residents, promises to “meet or exceed Baltimore City’s recently enacted Green Building ordinance”. However, the developers, represented by lawyer and Chair of the Maryland Sustainable Growth Commission, Jon Laria, have now requested a Stormwater Management Waiver for the 25th Street Station and it has been approved. According to the Baltimore City Stormwater Managment Manual, Stormwater Management Concept Plans require “Waiver requests, if any” and curiously, the concept plan for the proposed 25th Street Station did not include a waiver request. In addition, the Baltimore City planning department minutes from a Site Plan Review on December 16th, 2009 (link) of the 25th Street Station state, “Stormwater Management will be under the new regulations”. Residents raised concerns about whether the proposed 25th Street Station Development was in compliance with the 2007 Stormwater Management Law at an August 5th, 2010 Planning Commission hearing. The development’s proposal includes covering a considerable amount of permeable land on the property with buildings and a parking lot. Concern was raised that the plan does not appear to include adequate Environmental Site Design principles required under the Stormwater Management law. Members of Baltimore City Planning Department dismissed resident’s concerns, stating the project had been “grandfathered” into the 2000 Maryland Stormwater Management requirements. After the hearing, residents sought the waiver for the grandfathering of the 25th Street Station proposal. Baltimore City Department of Public Works responded that a waiver had not been requested for the 25th Street Station. Residents continued to raise Stormwater Management concerns regarding the proposed development up through the vote by Baltimore City Council on the 25th Street Station Planned Unit Development. A “Public Notice” for the waiver request quietly appeared in the form of a single page posted within the Department of Public Works section of the Baltimore City website on January 19th, 2010. One week was given for public comment. The proposed 25th Street Station development project would encompass 11 acres in the Remington neighborhood of Baltimore. To learn more about Stormwater Runoff, CLICK HERE to visit the EPA’s website. UVA School of Architecture Professor Jorg Sieweke explores the future of the Jones Falls that once shaped the city and has been neglected and buried in an underground culvert to make room for an inner city expressway, the JF-X. Professors Robin Dripps and Lucia Phinney employ parametric software to model vacant lots, useable roof areas, surface water flows, and scattered vegetative patches in relationship to existing urban patterns, topography, and solar orientation. Imagine what the city would be like if you rolled back the Jones Falls Expressway and the concrete culvert that carries the falls beneath. Demolish the modernist impulse to reshape nature, and restore the life that once thrived along its banks. Then, take what’s left of a depopulated city and reimagine a smart grid of information-age enterprise consisting of micro-farms, rainwater distribution networks, material salvage and recycling, and thriving entrepreneurship. Three University of Virginia architecture professors envision all of this in a smaller, smarter, self-reliant Baltimore in control of its own future. This 28th installation of the Design Conversation promises another night of visionary thinking, and we like what they see. This event is Free admission and open to the public. The Design Conversations are a monthly forum for ideas about Baltimore and beyond. Always free, and always held the first Tuesday of the month at the WindUp Space, these conversations are curated by a group of volunteers, and are made possible by the generous support of The Baltimore Community Foundation and D:Center Baltimore. E2SHI, a new institute at Johns Hopkins University, plans to break ground by studying how to save it. E2SHI (pronounced eh-shee), a new Environment, Energy, Sustainabilty and Health Institute at Johns Hopkins University, that began taking shape last year to promote research and education in topics ranging from green energy practices to climate change and related health issues, has officially launched. At its start, the institute is offering an internal seed grant program, up to $25,000 for 12 months of work. These funds will be awarded to launch institute-related research projects that involve cross-divisional collaborations and that are likely to receive longer-term funding from outside sources. Additionally, E2SHI is working to enhance and coordinate environmental curricula at the undergraduate and graduate levels. The institute has set up a fellowship program to support graduate students who will engage in multidisciplinary research on the environment, energy supply and use, economic and ecological sustainability, or projects that have a public health link to these topics. E²SHI will host a kickoff event on April 20th, during Earth Week. To learn more about the institute and its activites, visit the E²SHI website: CLICK HERE. As farming becomes more and more remote from the life of the average person, it becomes less and less able to provide us with clean, healthy, lifegiving food or a clean, healthy, lifegiving environment. CSA or Community Supported Agriculture consists of a community of individuals who pledge support to a farm operation so that the farmland becomes the community’s farm. 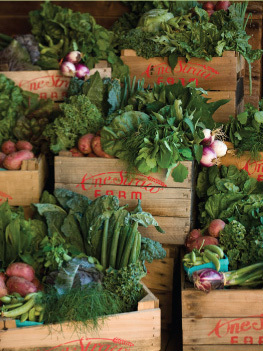 In return, members receive shares in the farm’s bounty throughout the growing season. The Maryland Department of Agriculture is encouraging citizens to consider joining a community supported agriculture (CSA) farm to support local farmers while receiving delicious, nutritious, fresh produce all summer long. CSA members pay an upfront subscription fee to farmers in return for a share of the season’s harvest, which is usually provided weekly. For convenience, many CSAs deliver to central locations for pick up closer to subscriber’s home or work on a certain day of the week. 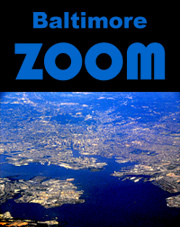 Don’t live in Baltimore? -For a list of CSAs in your area, CLICK HERE. A recent article from the Christian Science Monitor highlights the efforts of newly appointed Baltimore food czar, Holly Freishtat. In Baltimore, Holly Freishtat came on board as food-policy director last April. One idea that Baltimore is pioneering is “virtual supermarkets.” On a cold and sunny day last month, Ms. Freishtat visited such a project at the Orleans Street branch of the public library. There, an official from the city’s Health Department helped an unemployed mother of two order groceries online from Santoni’s Super Market, a longtime Baltimore grocer. The day after customers place their orders, Santoni’s delivers the products to the library and swipes their EBT, or electronic benefit transfer, cards (which is an updated food-stamp system). Three miles north of the library, Freishtat made a second stop: at Real Food Farm, which she sees as a model for urban agriculture. During the winter, the farm is using greenhouses to grow carrots, kale, and other vegetables. The six-acre site, which also includes a fruit orchard and fields for crops like squash, is run by a local nonprofit and supplies restaurants, a hospital, and neighborhood markets. Freishtat has identified 35 city-owned acres suitable for similar projects. She plans to begin the leasing process this month with farmers and farm groups. For the full article at the Christian Science Monitor, CLICK HERE. 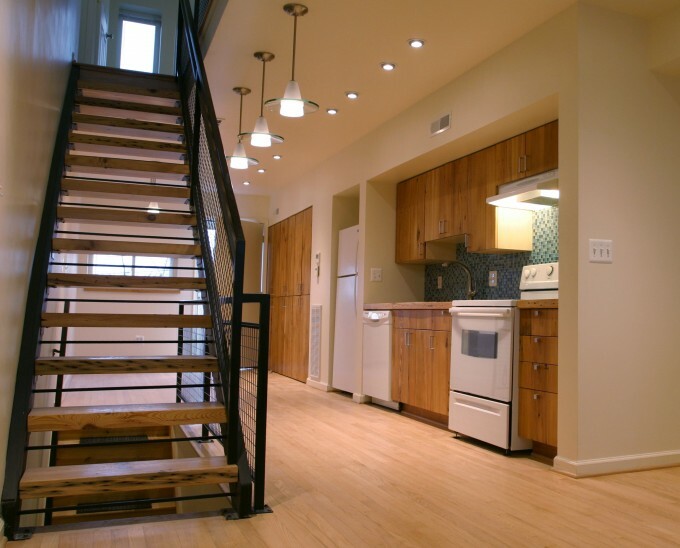 Baltimore’s greenest home may surprisingly also be one of its more affordable. 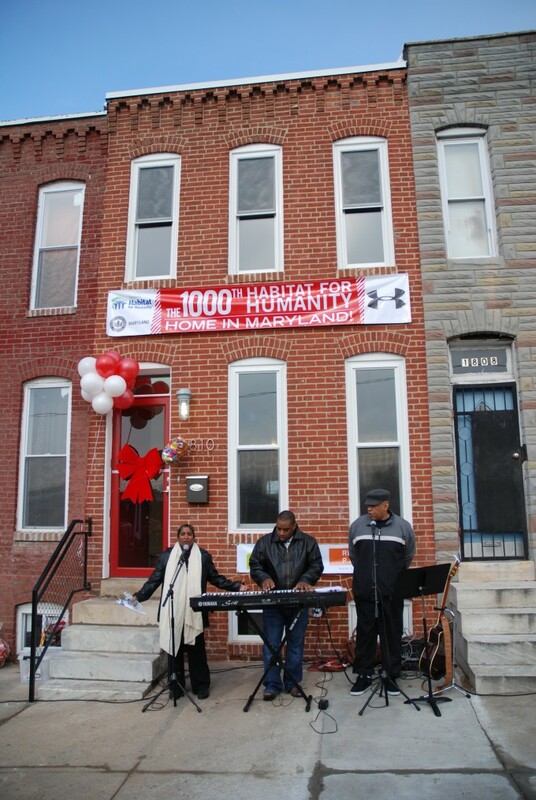 In January the completed 1000th Habitat For Humanity Home in Maryland was unveiled. What appears as an unassuming rowhome in the Sandtown neighborhood of Baltimore, is something altogether exceptional when you pass through its threshold. 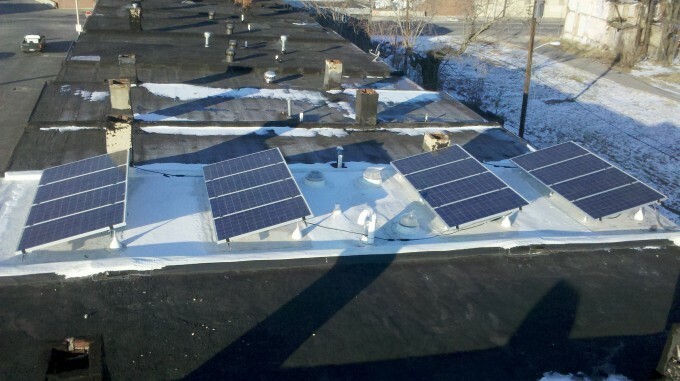 1810 Laurens Street is currently on track to become the first LEED for Homes Platinum project in Baltimore City. It is also intended to be a model for affordable housing. The 1,000 sq ft home is outfitted with a rainwater collection system, high efficiency windows and doors, resalvaged (or reclaimed) hardwood floors, cabinets and countertop, solar roof panels and a “white” roof, tankless water heater, and recycled glass tiles… just to name a few of its sustainable features. At the recently commenced Maryland Chapter of the U.S. Green Building Council 6th Annual Awards event, the Sandtown home won both the USGBC Maryland ‘Home Award’ and ‘People’s Choice Award’. A real team effort, this award winning example of green design is the acheivement of Ziger/Snead, Synthesis Incorporated, UnderArmour, Hamel Green Construction, Merritt Properties, Habitat For Humanity Sandtown, Elysian Energy, Straughan Environmental, USGBC MD Chapter and others. To learn more about the home and its construction and for more pictures, visit ZigerSnead.com or CLICK HERE. Tours of the house will be offered during Baltimore Green Week (April 16th-23rd). 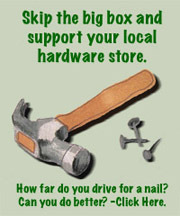 Images are courtesy of Jonas Risen at Ziger Snead.